Georgetown Insider: A Neighborhood Like No Other Soirees celebrating Georgetown's historic architecture. Soirees celebrating Georgetown’s historic architecture. A highlight of the social season, The Georgetown House Tour is the oldest house tour in America. The inaugural event was organized in 1931 in an effort to raise funds in the aftermath of the Great Depression. Proceeds continue to support St. John’s Episcopal Church’s ministries. 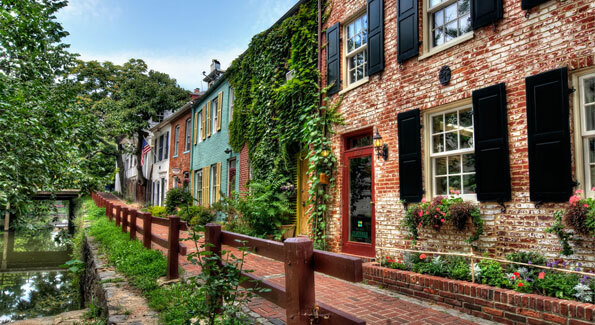 Local residents and visitors are able to view nine houses which dazzle the eye and offer an intimate glimpse into Georgetown society, culture and design. Georgetown grande dame and philanthropist Frida Burling established the first Patron’s Party for the house tour in 2001. Held at the home of author Kitty Kelly, it was an instant success, as it paved the way for what would become a Georgetown institution. 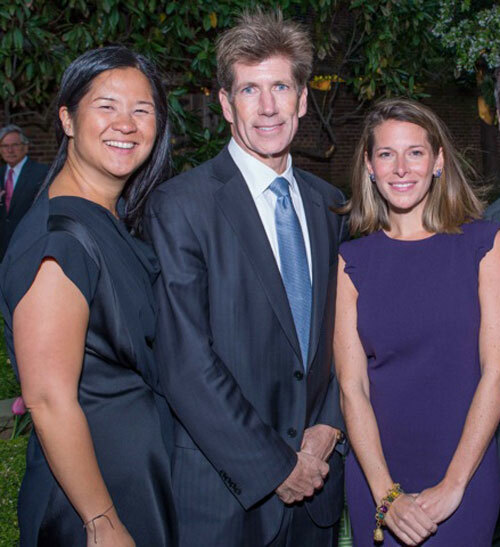 This year’s Patrons soiree (with Platinum sponsor TTR Sotheby’s) was held at Elizabeth and Jeffrey Powell’s elegant Federal residence. “It’s called a fantastic!” exclaimed co-chairman Colman Riddell, when I commented upon her stunning headpiece as she greeted me at the door. For a moment I had a fashion freeze, yet the word said it all; the party was fantastic! The mayor had exceptional taste; the Powell’s residence is a superb example of the Federal Period at its finest. Despite being transfixed by the glimmering fanlight above the entrance, I viewed the other rooms with equal delight. From floor to ceiling the party was abuzz with giddy guests whose fondness for Georgetown and its period architecture was apparent. Among the revelers were Georgina and Outerbridge Horsey, Betsey Rackley, Frank Randolph, Kerry and Greg Carlsen, Amy Stroh, Tom Anderson, Dana Landry, John Cecchi, Page Evans, Honor Ingersoll, David Lawson, Lucile and Richard Huber, Jack and Michelle Evans, Lucile and Richard Huber, Gregg Busch and Claudia Gwilliam. 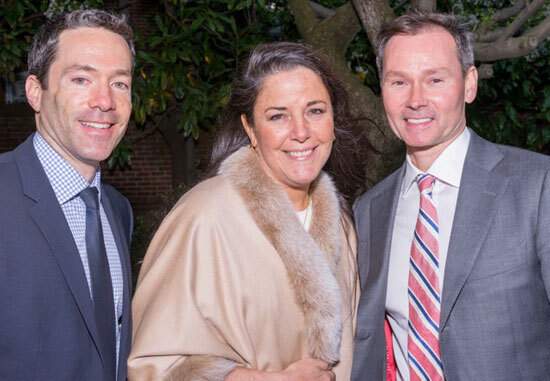 Another stately period house, the Greek Revival residence of Robin and Eileen-Shields West was the perfect setting for a drinks party to celebrate the SEED Foundation. The doric columns of the entrance spoke to the noble purpose of the foundation and Seed Schools, which I later learned have a “Classics Program” for students to study abroad. As a philosophy enthusiast I was captivated when Eillen Shields-West described the “Greek program” which was inspired by the “amazing and wonderful” Helen Philon, a Hellenic scholar and wife of former Greek Ambassador Alexander Philon. Funds for the program were also provided by the Niarchos Foundation. 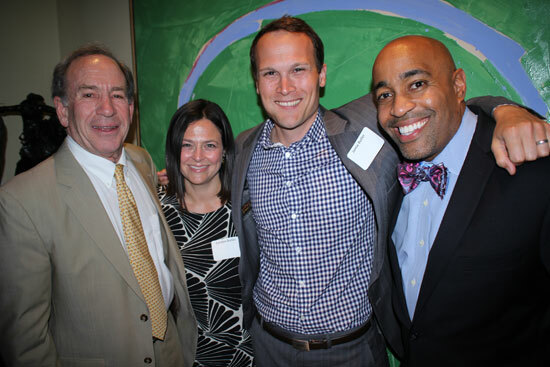 In 1998, Raj Vennatka and Eric Adler founded the SEED Foundation. The Seed School in Washington was the nation’s first urban college-preparatory public boarding school. Other schools include one in Maryland and Miami. The founders were in attendance as well as other guests who shared a passion for the cause. Among the guests were Mike Peabody, Bobbie Scheide, Craig Pascal, David and Martha Webb, Tom and Sasha Adams, Anne Friedman and Steve Bumbaugh. Watteau would have been inspired by the Arcadian oasis that is Tudor Place. 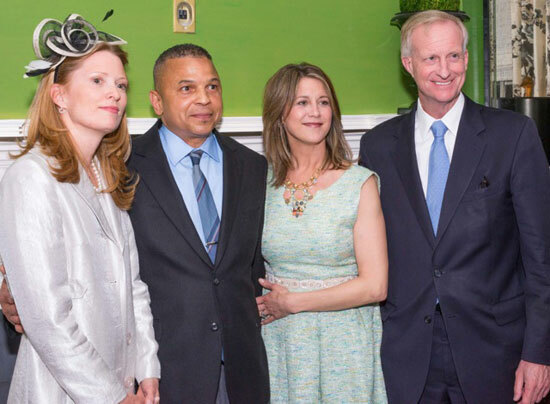 Now in its 22nd year, the Spring Garden Party is the crown jewel of the social season. Tudor Place, which is approaching its bicentennial, is one of the nation’s first historic landmarks. The elegant neoclassical structure was designed by Dr. William Thornton, architect of the first U.S. Capitol. The first owners were Martha Custis Peter (granddaughter of Martha Washington) and Robert Peter. The house remained in the Peter family for six generations after which it was opened to the public as a historic museum and garden. 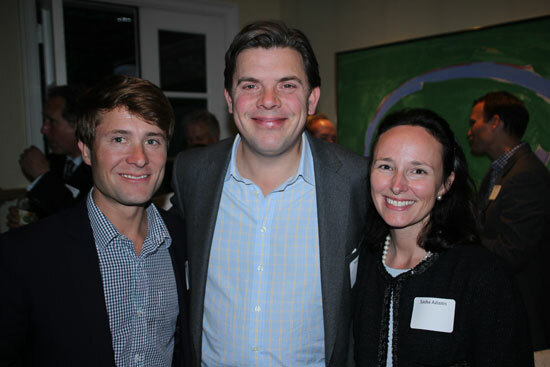 Page Evans, Liz Dougherty and Colman Riddell served as chairmen for this year’s festivities. Their passion was rewarded as 500 guests attended the fundraiser which raised a record amount. Balmy weather and periodic rain did not dampen the spirits of the colorfully clad guests, many of whom were taken with the gorgeous decor. Table cloths, the color of lemon sorbet, adorned cabaret tables while a central bar lent symmetry (and accessibility to drinks!) to the setting. Among the attendees were: Bobby Schwartz (looking dangerously debonair in pinstripes and the perfect tie), Bob Smith, Margaret and Jay Costan, Ruth Buchanan, Paul Dougherty, Tom and Mary Page Evans, John Firestone, John Irelan, Rev. Stuart and Fran Kenworthy, Phillips Peter, Sheila Gross, Betsey Rackley, Nicole Miller, Myra and Toby Moffett, Georgina and Outerbridge Horsey, Sarah Cannova, Sassy Jacobs, Frank Randolph, Marcia Carter, Christian Zapatka and Katie and Steven Gewirz. 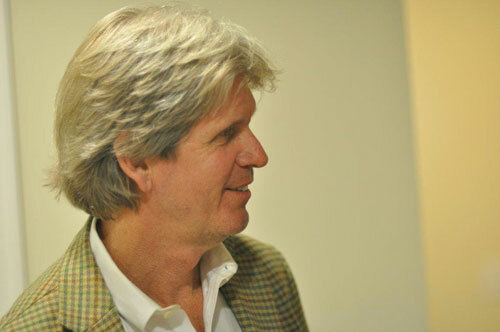 Georgetown is known for period architecture and decorative arts, however, contemporary art continues to thrive, as I learned from gallerist and Washington native Christopher Addison. I spoke with Addison the day after the annual Georgetown Art Walk. Six galleries participated in the event which allowed visitors to view works of upper Georgetown galleries including Addison Ripley, Maureen Littleton, Neptune Fine Arts, Susan Calloway Fine Arts, All We Are and Robert Brown Gallery. Addison’s sentiments attest to the magical hold that Georgetown has for many. There is something for everyone from garden parties and galleries to gateaux (or is that cupcakes?). Nevertheless, visitors assemble to experience the many wonders of a neighborhood like no other.